KTM is set to roll out the 2014-spec 450 Factory Rally bike which will compete in the Dakar in January. The 450 will debut in the Morocco Rally on Monday, ridden by multiple former Dakar winner Marc Coma of Spain among others. KTM says R&D engineers have ‘designed and built a completely new version of the machine from the ground up,’ for the 2014 Dakar. 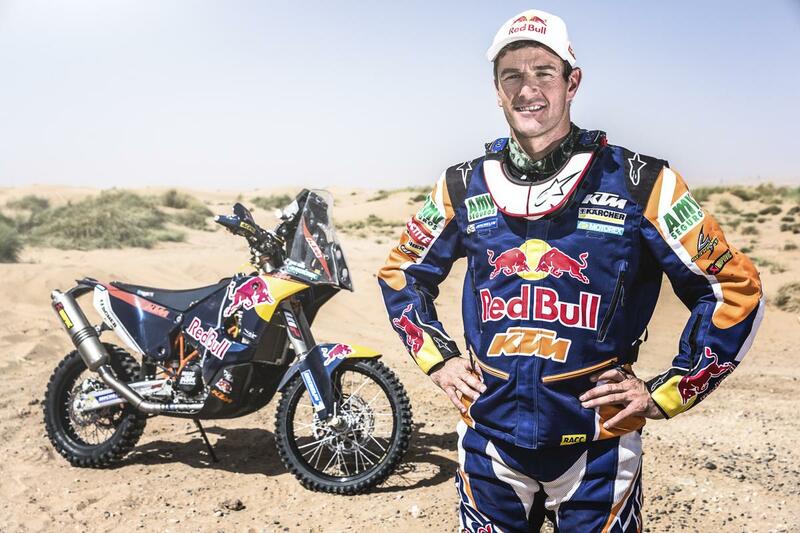 Five-time Dakar winner Cyril Despres left KTM after 12 years in March to ride for Yamaha in 2014. KTM says: ‘The team, already in Morocco to conduct final tests and settings refinements, will first test the bike under race conditions in the opening stage on Monday October 14. On-board the latest version of the new bike will be multi Dakar Rally winner Marc Coma of Spain, American Kurt Caselli, who made his Dakar debut in 2013 and factory team stalwart Ruben Faria of Portugal. ‘The KTM 450 Rally bike is the result of dedicated work by KTM’s Motorsport, R&D and engineering experts whom have designed and built a completely new version of the machine from the ground up. 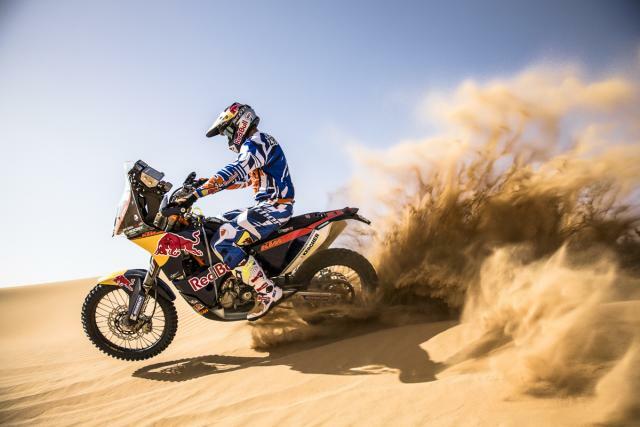 The intention has been to produce the best possible bike for the Red Bull KTM Rally Factory Team to fight for another Dakar victory in January 2014 following on from 12 consecutive wins in the motorcycle class.